In partnership with Evince Clinical Assessments, The Change Companies® offers the industry's most complete system of clinically driven diagnostic, placement, service planning and outcome resources. These DSM-5 and ASAM criteria compatible tools to streamline the assessment process and increase the accuracy of diagnostic, placement and service planning decisions. 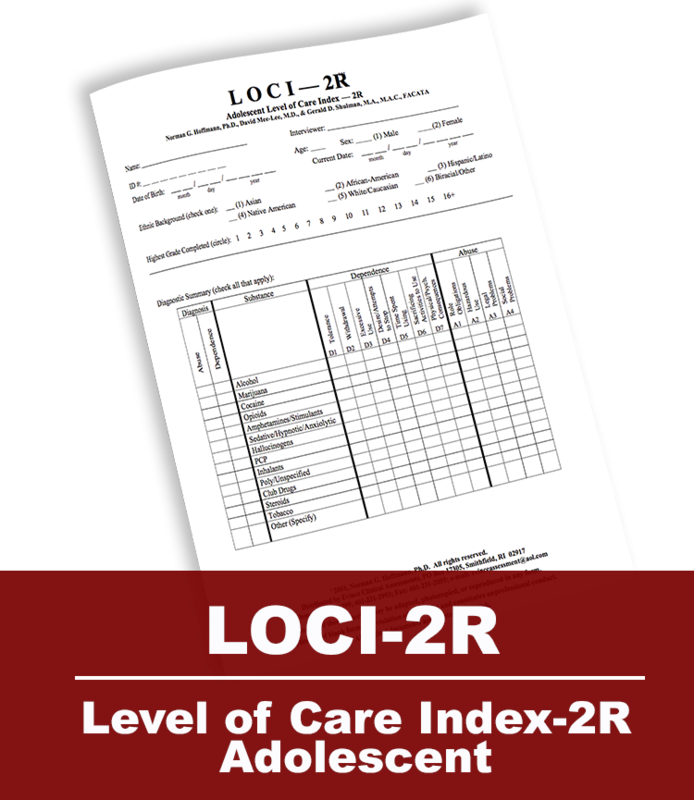 A number of our instruments are designed to provide clinicians with a quick initial assessment that is more than a screen but as extensive or time invested as the more comprehensive tools. These instruments can provide documentation for positive findings or suggest where more detailed assessment might be warranted. This trio of comprehensive interviews provide documentation of substance-related disorders and co-occurring conditions among adults and adolescents. When a substance use disorder has been identified, the next step is making placement and service planning decisions. 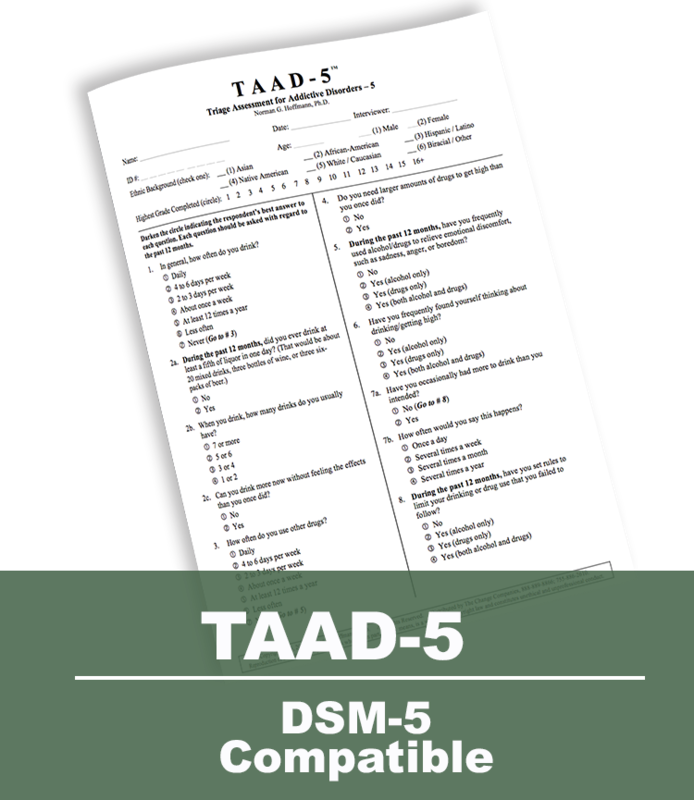 The ASAM criteria require that a substance use-related diagnosis be met for treatment admission. 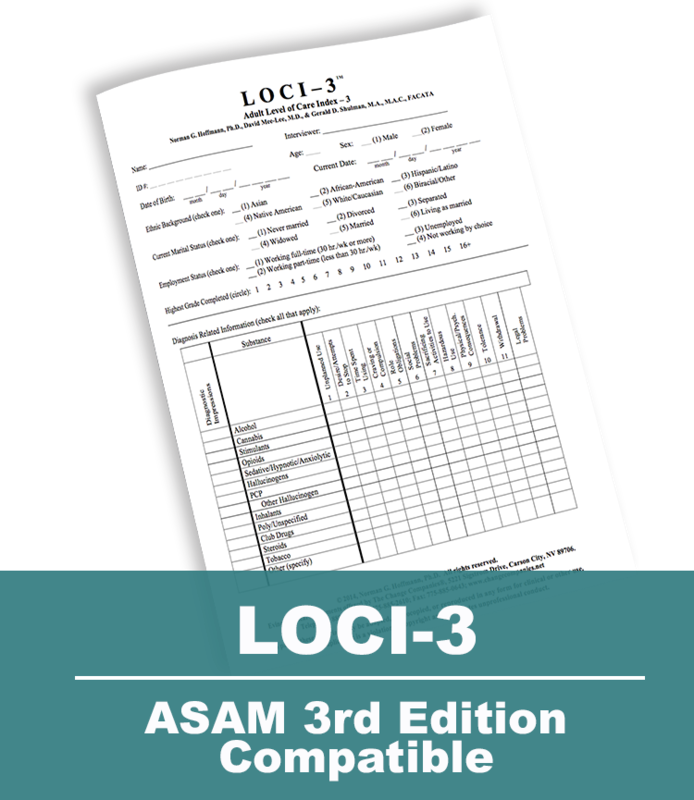 These are the only comprehensive assessment instruments fully compatible with the ASAM criteria, which were developed by Dr. Norm Hoffmann, Chief Editor of The ASAM PPC (First Edition), and Dr. David Mee-Lee, Chief Editor ofThe ASAM Criteria (Third Edition). A brief assessment instrument (EWE) for identifying a range of problems in an EAP setting can be a valuable asset for the busy EAP counselor to ensure a general coverage of common problem areas. 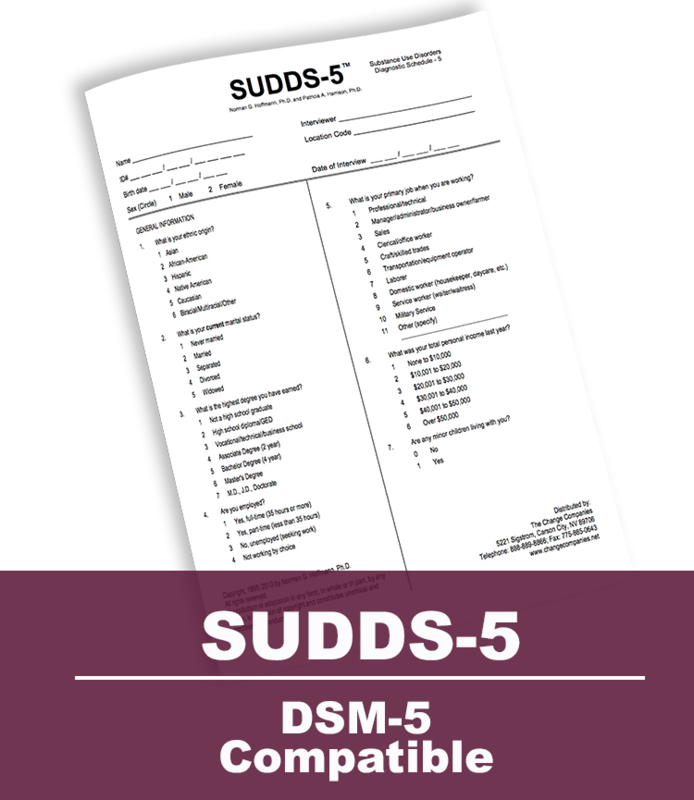 More extensive assessments fully compatible with the DSM-5, such as the SUDDS-5, are valuable when the counselor must document a substance use disorder. The sign-off at the back of this instrument provides concrete evidence of what the employee has acknowledged or denied. The instruments of the JAVAA provide key documentation of issues to be considered in making return-to-work decisions. According to presentations by Dr. A. Thomas McLellan, the typical before vs. after treatment evaluations for substance dependence are inappropriate for evaluating the treatment of chronic conditions in that they are biased against positive treatment results. The appropriate model for a chronic condition is similar to those for medical conditions where the evaluation is conducted while the individual is receiving treatment services or medications. 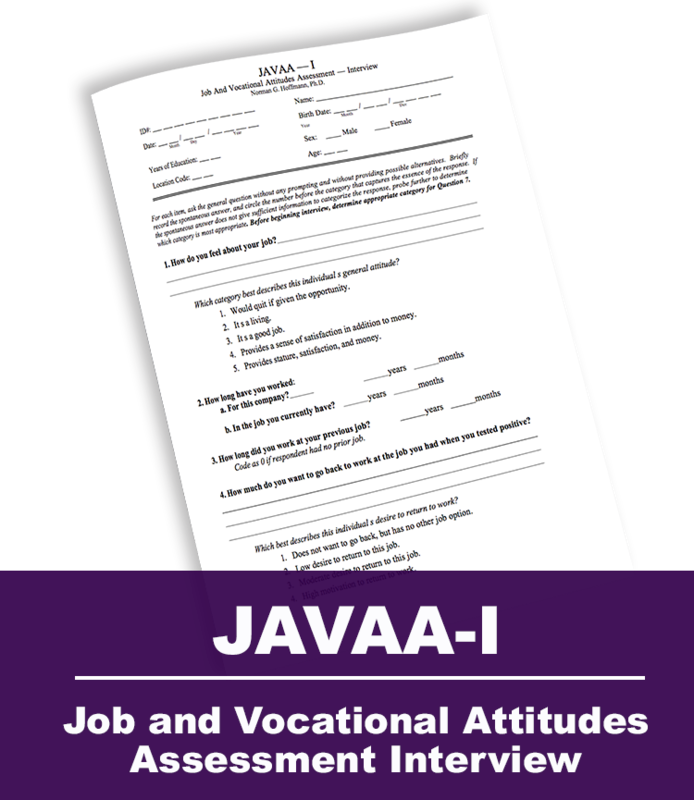 Our inexpensive program evaluation tool is designed to monitor changes while the client should be actively engaged in treatment and during the initial period of maintenance services.